Whether you’re taking your first steps on guitar or moving into further or higher education, a Rockschool Acoustic Guitar Grade will improve your playing ability, expand your technical proficiency and give you a solid grasp of music theory, whilst practising and performing to some of the most iconic tracks from the world of popular music. Acoustic Guitar grades with a difference. For Acoustic Guitar we've hand-picked tunes from some of the world's biggest artists across a diverse range of genres to provide students with an expansive song choice to use in their exam and for their own enjoyment. Acoustic Guitar features some of the top session musicians in the industry who’ve recorded and performed with the likes of Queen, Jimi Hendrix, Michael Jackson, Rihanna and many more. Music is always better when played together. Rockschool Acoustic Guitar features duet arrangements at every grade to enable student and instructor to practice and perform together. Completing a Rockschool Music Grade is a rewarding experience, we’ll get you on your path to success in no-time. To get started, simply grab your Music book from the shop. 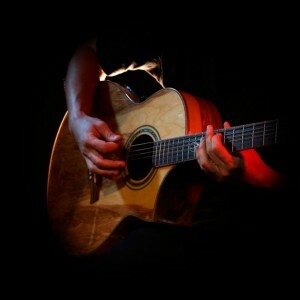 Start Rockschool Acoustic Guitar Now! To start Rockschool Acoustic Guitar, you’ll need a Rockschool book. Most people start with the Debut book and work their way up through the Grade books and exams. The course content for Rockschool Acoustic Guitar is listed in the syllabus guide, starting at Debut and going all the way up to Grade 8. For information on sitting a Guitar Diploma Exam please go to the Performance Diploma page. To book an exam, please contact your local AMEB state office. What struck me about the tunes which I had the opportunity to contribute to was that they were associated with Robert Johnson and Jimi Hendrix, two of most influential artists in the history of popular American music. Rockschool's Acoustic Guitar Syllabus has been created by a team of accomplished professional guitarists with diverse backgrounds and abilities whose combined experience has created a curriculum that will enable the student to become thoroughly accomplished in a wide range of techniques and repertoire. Contact your local AMEB State Office to book an exam. For enrolment and exam enquiries, please contact your AMEB state office.